Jazz lovers, wine lovers, scenery lovers... this Rhine and Moselle cruise is for you! See the prettiest stretches of the Moselle and Rhine rivers, their banks cloaked in a patchwork of vineyards. Taste and compare local wines and vintages and in 2019 enjoy live jazz performances from the Eagle Jazz Band throughout this exuberant cruise. Your holiday will be led by host Margaret Saddington. Her knowledge and appreciation of jazz comes from being a member of three different jazz clubs and having sung with many jazz bands. 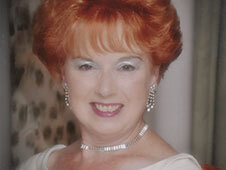 Margaret has a particular passion for the voice of Ella Fitzgerald and the sound of the tenor saxophone, and she has hosted many Saga jazz and big band holidays since 2003. Travel to Cologne by coach to embark Rex Rheni. Enjoy dinner on board tonight, plus a performance from your on-board jazz band. Explore historic Koblenz, and perhaps visit the Festung Ehrenbreitstein, a citadel built by the Prussians. As you sail away keep a look-out for the Deutsches Eck headland, which marks the confluence of the Rhine and Moselle. Enjoy an afternoon of live jazz as you cruise the beautiful sweeping curves of the Moselle towards Zell. The picturesque little town of Zell is famous for its Schwarze Katze – Black Cat – vineyard. Later this morning, cruise along the meandering Middle Rhine to the pretty, medieval town of Bernkastel-Kues, world-renowned for its 'Doktor' vineyard'. Enjoy live jazz tonight. See the colourful Renaissance houses and 17th-century fountain at Bernkastel-Kues this morning, then cruise down the Moselle to the villages of Traben-Trarbach where the buildings are art nouveau in style. Join an included excursion to a local vineyard for a wine tasting – perhaps sample some 'flowery' Mosel. The lovely town of Cochem has been inhabited since Roman times. Wander the narrow streets lined with gabled houses, and see the remains of the Old Town Wall. You can join an optional excursion around Cochem and magical Reichsburg Castle which stands on a hill nearby, finishing with a trip to a local vineyard to sample multiple local white wines. Cruise from the Moselle into the stunning Rhine Gorge and sail to Rüdesheim. Enjoy a live jazz performance this evening. Explore the charming old wine-town of Rüdesheim and perhaps sample the local coffee, a heady brew laced with German brandy. You can also join an optional excursion to Siegfried’s Mechanical Music Museum – a joyous experience. This afternoon you'll cruise back along what is probably the most famous and scenic stretch of the river – the romantic Rhine Gorge – to Boppard, past a heady array of castles, terraced vineyards and attractive villages as well as the famous Lorelei Rock. The small riverside town of Boppard boasts more than 2,000 years of history. Don't miss the Gothic Carmelite Church or the opportunity to stroll along the Rheinallee, a waterfront promenade. Enjoy a wine tasting this evening. Leave Boppard this morning and sail to Cologne to explore Germany's fourth largest city. The skyline is dominated by the vast Gothic cathedral, originally a pilgrimage church designed to house the relics of the three Magi. The colourful houses of the old town are nearby, but large swathes of the city are modern as a result of bombing during World War II. Art lovers will enjoy both the Wallraf-Richartz Museum and the Museum Ludwig. Enjoy a farewell dinner and a jazz concert tonight. Disembark after breakfast and travel to the UK by coach. In 2019 the Matt Palmer Quartet will perform throughout your cruise. The band has a broad repertoire with focus on the 20’s, 30’s and 40’s, plus a mix of popular songs and classic compositions. Some of the highlights may only be seen on optional excursions or by exploring independently. Optional excursions are at an additional cost and all excursions are subject to availability and change.